“That is not true, it’s just not true; voter identifications cards have to go through a process involving fingerprint so to get the card the name must be part of the system, it’s just impossible for someone to have a card and cannot find his or her name on the list,” Phillip said. When it comes to switching of polling station, he said the it’s against the law for the office to change someone’s polling division without written instructions from that person. “However, I must say that in recent times we had an influx of requests from persons expressing their desire to change his/her polling division due to change of residency, and that is provided for in law,” he said. “Once a person requests a change, they are allowed complete the relevant forms. The request is then investigated to confirm that the person has indeed changed his location and is no longer domiciled in the constituency,” he said. 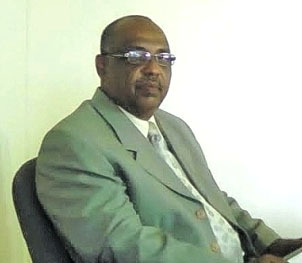 “I want to [tell] the general public, in particular the voting public, that the parliamentary elections office uses the laws governing its existence as its guide and there is no way the office will do anything to compromise the electoral process; these claims are just baseless,” he said, while calling for anyone who has evidence of these irregularities to bring it to the attention of the Parliamentary Elections Office. The claim was made by Ray Roberts, the NDC candidate for St George’s South in an article published in one of the weekend newspapers. Political parties are presently in campaign mode as a general election is constitutionally due no later than mid-2018.